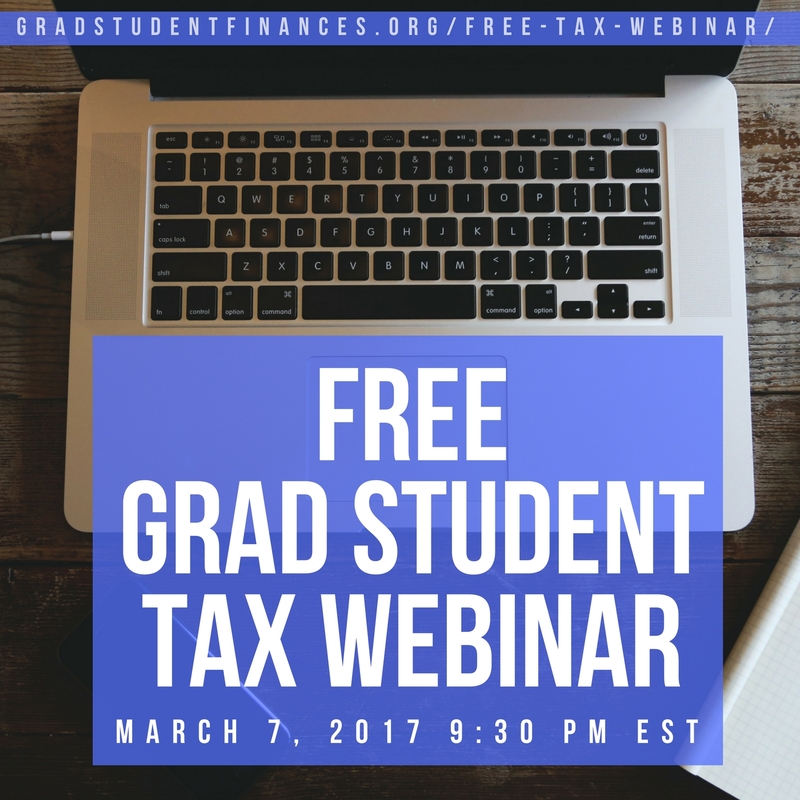 On Tuesday, 3/7/2017 at 6:30 PM PST I’m presenting a live tax webinar for grad students! The webinar is free and I’m using it as a way to get my. name out there as a person who serves the personal finance needs of early-career PhDs. I’ve been studying the tax quandaries grad students face on and off for years (and documented it here and on Grad Student Finances). I cover grad student pay and taxes briefly in my comprehensive personal finance seminar for grad students, but the topic really deserves its own seminar. In this webinar, I’m presenting a truncated version of my tax seminar for grad students and postdocs that contains the essential information grad students need to properly report their grad student income on their federal tax return. I’m keeping the presentation relatively short so that there will be plenty of time for Q&A before the hour is up. When I was in grad school, I attended a couple tax seminars presented by tax professionals who just didn’t understand the questions that grad students receiving stipends really needed answered. The dissatisfaction I felt with those sessions pushed me to pursue my current business; I have found that grad students really appreciate learning about personal finance from one of their own and I probably serve their needs even better than most financial professionals could. My goal with this webinar is to meet grad students where they are and answer their common tax questions using their language. I’m also excited to see what questions pop up, because each of them could potentially become a new article in Grad Student Finances’ tax section! If you are a grad student, surf over to Grad Student Finances to see what the webinar is all about and sign up to watch it live or as a replay. I really recommend that every grad student see it because even if you are confident that you have filed your tax return correctly, you might be surprised! (I’ve surprised plenty of students over the years on this topic.) You don’t know what you don’t know, you know? 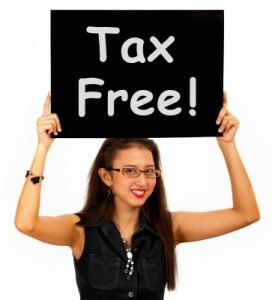 4 Responses to "Grad Students: Attend My Free Tax Webinar"
Is this also open to post-docs? As I’m on a T32-NIH based training grant, taxes have been a pain for me. Thanks! You’re certainly welcome to attend. I have tailored the webinar for grad students, but there are many similarities between the two groups. In fact, the seminar I’ve adapted the webinar from is geared for both grad students and postdocs. If you have any questions, feel free to ask them during the webinar or follow up over email. Unfortunately, I missed the webinar. I was wondering if I can access to its content now. Absolutely! Enter your information into the form on this page and the webinar replay link will be emailed to you.